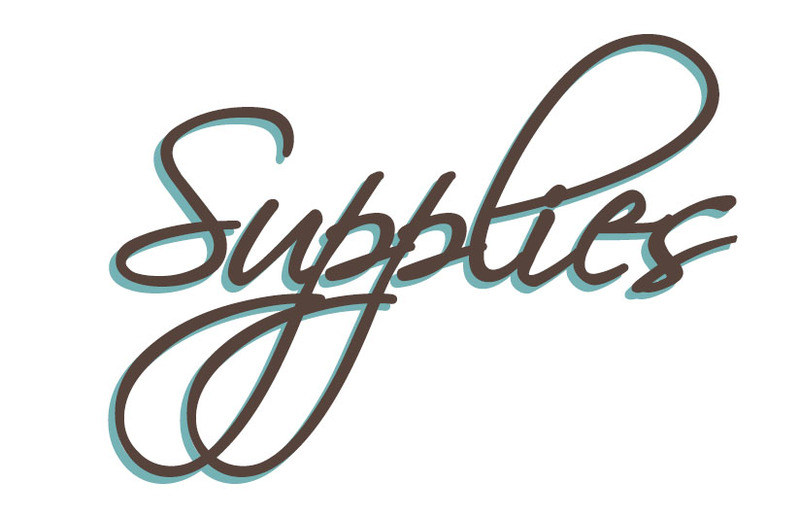 Laura Volpes: Spellbinders New Collections Inspiration Blog Hop + Giveaway! Hi everyone! Today I am back with a card I created for the Spellbinders new collections inspiration blog hop! 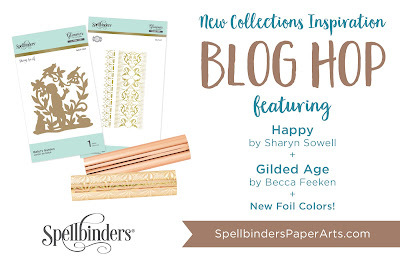 The hop is celebrating the release of the new Gilded Age collection by Becca Feeken, the new Happy Collection by Sharyn Sowell, as well as of new Glimmer Hot Foil Roll Colors! There are giveaways too, more about that at the end of the post! My project today features products from the new Gilded Age collection. I went for a very clean look, and I have to say that I really love how delicate this card turned out. I started by foiling some white and light blue cardstock with the plates in the Gilded Nested Rectangle Glimmer Set with the Glimmer Hot Foil Roll in the color Pewter. To do the foiling I used my Glimmer Hot Foil System machine and I then die cut the panels with the Gilded Nested Rectangle Die Set. I cut some more blue cardstock with the rectangle die in the Lucky Clouds Etched Dies and did some more foiling with the Gilded Trimmings Glimmer Hot Foil Plate. I added some die cut flowers from the Sew Sweet Valentiene Dies and decorated the centers with Nuvo Jewel Drops in the color Sea Breeze. I mounted everything on a top-folding A2 card base and that finished off my card! To celebrate this release, Spellbinders is giving away a $50 gift certificate to 3 lucky blog readers – selected from the comments across all of the blogs in the hop. Giveaway closes on Sunday, April 7th 11:59 pm EDT. Winners will be announced the Spellbinders blog hop post the following Monday. Winner is responsible for shipping cost, duties and taxes. You should have arrived from Janette Kausen and the next stop is Jacquie Dean. 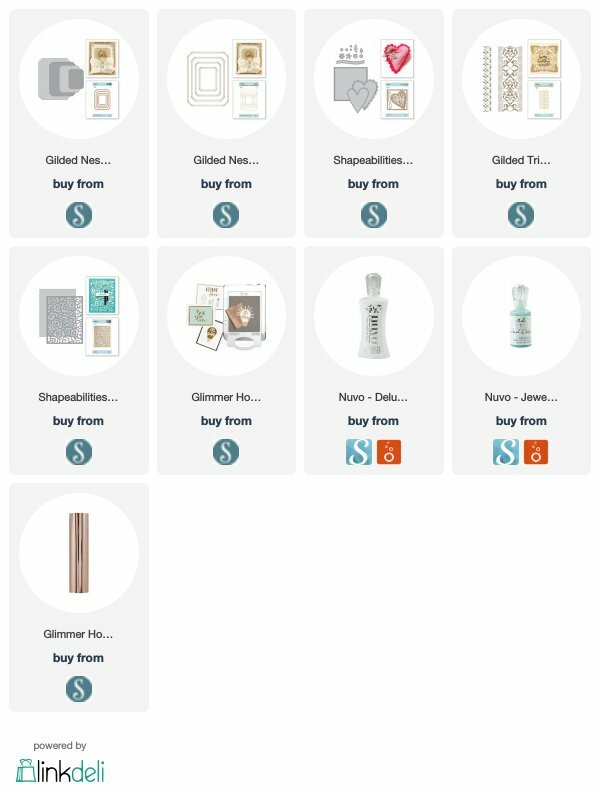 If you get lost visit the Spellbinders blog or check out the full hop list below! And that's it for today! i really hope you liked today's inspiration with the new Spellbinders Gilded Age Collection by Becca Feeken! Thank you all so much for stopping my and have a great day! Nice card. I love the blue background with the foil. Very nice card! I like the more modern take using these products - gilding/foiling doesn't have to be all florals! Those borders are sensational! Such a pretty card Laura... love the gold foil border... those flowers are so sweet! Very elegant design. This is such a cute card! I love the simplicity of that foiling plate. So elegant. I love your card! I love the clean look!! This is a cute card simple and elegant and the flowers are a nice touch. The simplicity is very pretty and refreshing. Nice foiling. lovely card - so elegant!! Love this card! It's great to see how you used the rectangle frames. I just received them and love seeing ways to use them. Pretty card!! Great foil work!! Tricia Podmore here, what a darling card. Love your choice of blue for your card. Love your foil trimmings. I love your card and howyou used the foil. Thanks for sharing. Simple and elegant! These frames will be so useful for highlighting different designs. Such a pretty card. I love th blue! Clean and simple but elegant because of the foil. Thank you for sharing. Simple and elegant! I love the teal! Such pretty layered card and am in awe of this gilded image matched so perfectly with the other Spellbinder's dies and pieces! Very bold color and so in touch with Spring. The foil just adds the "pop". Love the pretty teal card you created. It was very simple but well planned out. Great Card. Very pretty. I like the colors and clean design. Simplicity at it's best. I love how the one color of foil creates different looks on the two colors of cardstock. Thanks for sharing your beautiful card. Your card is so pretty. I love the clean look and how it showcases the gorgeous foiling. I just love Becca’s nested rectangles. Cute design. And elegant as well. This is the perfect spring card. Love the blue cardstock and foil detailing! Love the look of the blue cardstock with the delicate foiled images on it. What a difference a bit of foil makes! Wish I had a Glimmer machine as I've not used foil before. Thanks. I need to get out my rectangle dies and start playing with them again. Your card is lovely and the layering of the flowers added just the right touch! Love these nested rectangles! Your card is a great example of how pretty they are! Thanks for the inspiration. Love those rectangles, your card is elegant. Thanks for sharing. Love the effect of the foils! Fresh, happy and beautiful card! Love the shine from the foil. Love your card, thanks for the inspiration! So beautiful and elegant! Love the gorgeous combo of blue and white. And the pewter foil is absolutely amazing! Choice of colors are my favorite. Enjoyed seeing your work and being inspired to get the plates and glimmer machine. Thank you! What a fresh color combination. Love it! Lovely card. The foiling adds such a touch of elegance. Sweet card....thank you for sharing!